[Updated] The Corporation of St. George are reminding the constituents in the Municipality of St. George’s that a Municipal Election will take place on Tuesday [Feb 5] at Penno’s Wharf Cruise Terminal, St. George’s. Polling time is 8.00am to 8.00pm. Update 6.44pm: A Government spokesperson said, “The Parliamentary Registrar today reminded voters that an extraordinary municipal election for the Corporation of St. George will take place tomorrow, 5 February 2019, at the Penno’s Wharf Cruise Ship Terminal in St. George’s. The polling station will be open from 8:00 a.m. – 8:00 p.m. for voters to cast their ballots. “To be eligible to vote, the voter must be registered within the municipal area and bring a valid photo identification to the polling station. The use of portable electronic devices is prohibited inside the polling station. 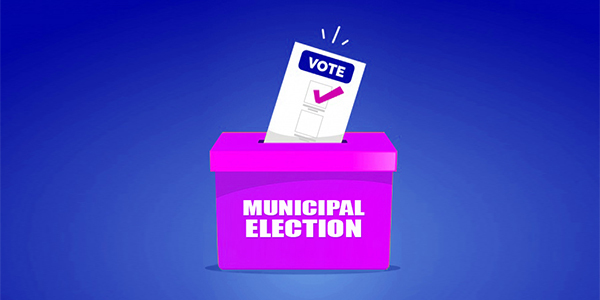 “After the polls close, the results of the extraordinary municipal election will be posted on www.elections.gov.bm. Phoopa’s daughter is honouring her pledge at her father’s funeral to ‘fill his shoes’. Phoopa was a passionate St. George’s supporter. He was unwavering in his support for all things St. George’s. I look forward to the result tomorrow. If you don’t vote, don’t complain later!